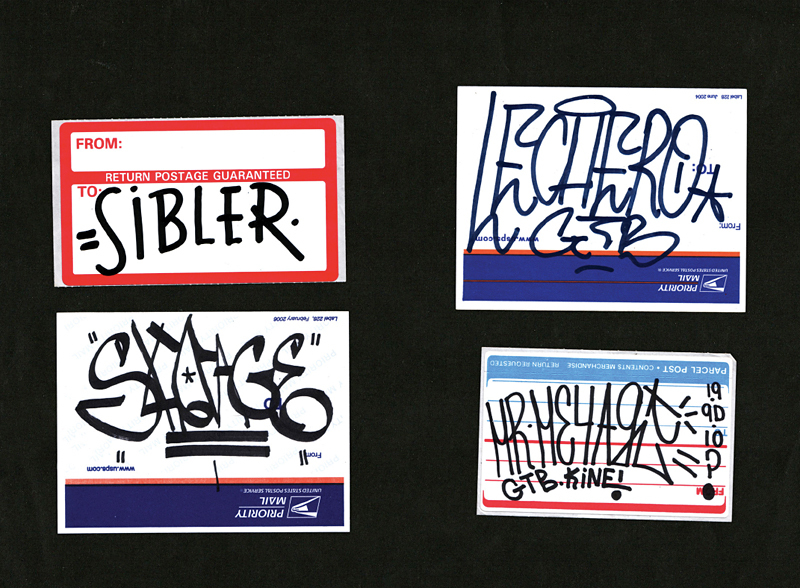 Skypager, Street Sweepers Zine | Arkitip, Inc.
Bay Area born Los Angeles based letterer, with multidisciplinary practice creates works by hand, often in communication with exterior surfaces. Utilizing language as a medium Skypager cultivates an entirely unique visual vocabulary. Repurposing text less an an act of symbolism, and more as one of substance, his work is instrumental in articulating dual context. 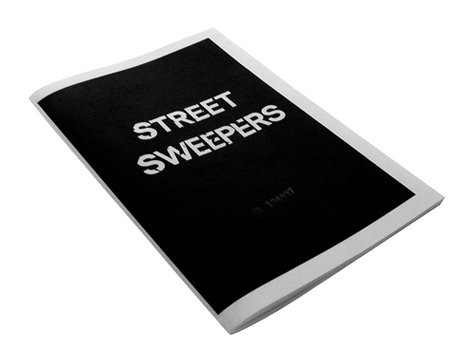 Partly serving as document of an ongoing project, Street Sweepers is based loosely upon the notion of cleaning up, using full long gestures and broad sweeping strokes it covers a wide stretch of terrain. Featuring a dedication to two of the most important artists of our time, as well as text by A. Makowka; Skypage accompanied by fellow artists R. Delgado, Jason DIll and M. Bernstein, contribute a collection of shared imagery with origins rooted in mischief and a strong kinship with it’s allegiance to the road.